Can you visualize an HR department where a small team manages large organizations – efficiently? A system where employees are not complaining about the absence of an HR team member who is always there to support the employee seamlessly transit through processes and to solve all the queries of employees – hands-on. Modern HR user experience must be fast, efficient and streamlined. By automating the HR system by integrating an intelligent virtual assistant to the system, the long manual tasks, unending waiting for approvals and the cumbersome information retrieval processes become exceptionally fast and accurate. Here’s how the HR department revs up when they have a subordinate (Virtual Assistant) to accelerate their work and fine-tune the processes. Training is an eternal part of the employee’s performance and holds high important for their growth. We all know that it is time-consuming as it involves mentoring, coaching and different other learning mechanisms based on the experience and job role. 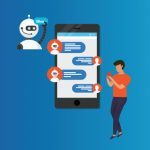 To add flexibility in the system, chatbots are made available to the employees for training purpose that is possible 24*7 ensuring flexibility in their work life. 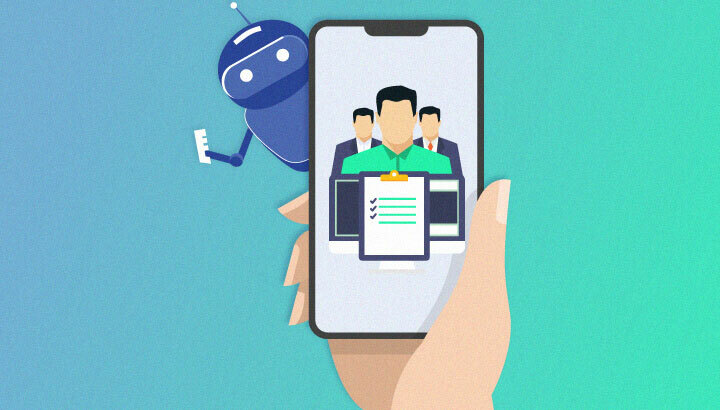 The pre-trained bots can answer all the questions, help in filling out forms or questionnaires in absence of managers making sure that no process remains incomplete. For any help related to the IT desk, raising a ticket, updating information, resolving queries or many such tasks of the organization can be taken care of by chatbots. The system of important date reminder, event reminders, appointments, meetings are implemented well with the help of trained bots. The core factor on which the performance of the employees is dependent is not a survey or workshops instead it is how well an organization understands their employees and provides a comfortable space at a workplace. It is every manager and employee’s duty to be a part of employee engagement. Every team member should join hands towards forming a conducive work environment and building a community where everyone appraises their peers; resulting in creation of loyalty programs or helping to engage each other via a Chabot for conversation. This is possible with a digital system that integrates every department with intelligent chatbots. Companies are involved in attracting various prospects day in and day out on different platforms. When organizations reach through Facebook, Slack or mobile they touch corners of the market building a great community along with a good brand name. This takes place globally as well. With the help of intranets, CRM lot of data gets extracted and there is a single point of contact. A detailed description can be sent and if the text is too long, a link is sent to simplify the whole thing and redirects to either a link or a dashboard. Most of the candidates at the time of recruitment look for options online. They start searching for jobs online and reach various destinations through links or apps. Starting from search engines to the final form submission, everything requires automated process and systems, ensuring a smooth experience for the candidate and the company. 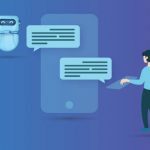 In a scenario like this, bots answer all the questions and gather as much information as possible from the conversations that take place on various platforms. For instance, an employee can ask about job role description, salary related questions, understand the company’s background or the process of selection. A new employee in an organization generally has too many questions to ask. Sometimes they might hesitate to constantly ping or poke employees to ask basic questions. Managers are also not always available to give various solutions to their employees. Pre-trained HR chatbot can help in solving queries of new and existing employees – freeing up the managers or team of HR to give an answer in person or through other means. With on-boarding chatbot, it becomes very easy for newbies to ask and managers to involve in some other task at the same time. 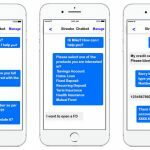 Chatbots can give real-time service for onboarding, leave application, meeting reminders, invitations, etc. Are you ready for setting up your organization’s HR Virtual assistant? Streebo’s Cloud DXA is a unique product that mobilizes your enterprise by offering varied interfaces to your team on devices such as smartphones, tablets, laptops, and kiosks among others. With simple drag and drop interface, it enables to create forms and apps in no time for your department. It comes with intelligent AI features such as chatbot and more. The organization can easily create sophisticated workflows with process digitization thereby increasing the company’s digital footprint. Reduce dependency on IT, increase productivity and cut the operational cost in half!